Southern Utah is full of incredible outdoor activities to keep your entire family entertained during your next vacation. Hiking, mountain biking, fishing, and observing wildlife are just a few popular ways to experience the beautiful outdoor setting. If you’re thinking of taking a trip to the area, find out about some of the best Panguitch Lake boat rentals nearby. These companies can help you find the perfect vessel to cruise around on during your stay. Before you head out on the water in one of these Panguitch Lake boat rentals, be sure to request a copy of our complimentary Southern Utah Vacation Guide! This handy travel planner is packed with excellent recommendations on activities and attractions plus insider info on the best restaurants and events. 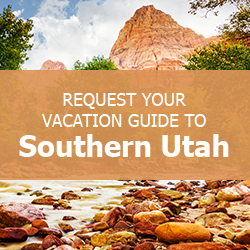 So many travelers have used this helpful tool to plan the perfect Southern Utah getaway! Whether you’re hoping to spend the day fishing or just lounging on a boat, Rocky Point Boat Dock has a diverse fleet. You can choose to rent one of their nine pontoon boats for a half day, from 7 a.m. to noon, or in the evening from 1 p.m. to 7 p.m. If you choose to head out on the water for the entire day, you’ll be able to use the boat from 7 a.m. until 7 p.m. For an extra special day on the water, you can rent the Panguitch Lake Pirate Blue! Kids of all ages love getting a ride on this unique steampunk pirate ship. Another great place to rent a boat, Panguitch Lake Adventure Resort offers a range of vessels for all types of water outings. Larger groups can rent the 20-foot pontoon boat while smaller groups can opt for the 14-foot fishing boat. For both sizes, the company offers half and full day rentals. Plan your trip at the beginning of June to take advantage of Free Fishing Day in Utah! The marina at Bear Paw Resort offers everything you need for a day of fishing on the lake. Choose from three sizes: 16-foot fishing boat, 20- to 23-foot pontoon boat, or an upgraded 24- to 28-foot pontoon boat. The largest vessel can accommodate a group of up to ten people. Each boat at Bear Paw Resort comes fully equipped with anchors, life jackets, and a full tank of gas. You can even rent fishing poles here if you need some gear! Unwind in a Family Time Vacation Rental! After enjoying a day of cruising and fishing in one of these Panguitch Lake boat rentals, you’ll want a comfortable place to relax. 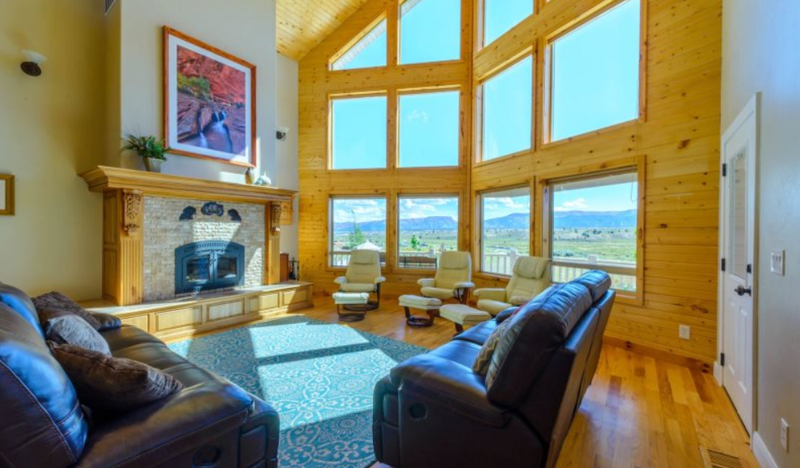 With vacation rentals in four different Southern Utah towns, Family Time Vacation Rentals offers relaxing accommodations for groups and families of all sizes. Check out our properties in Panguitch or near national parks. The gorgeous Grand View Lodge in Panguitch is ideal for multiple families traveling together. This six-bedroom home can accommodate up to 24 guests. It’s also conveniently located near Panguitch Lake, Bryce Canyon National Park, and Zion National Park. Guests will love gathering on the lower level to play games or use the pool table. Browse our complete catalog of available properties and start planning your getaway today! We can’t wait to help make your trip unforgettable.